A new report this month from the Bipartisan Policy Center explores the reasons for – and remedies to – the fact that mental and behavioral health data are so poorly integrated with clinical information in electronic health records. Some 45 million Americans have some form of mental illness, the Bipartisan Policy Center points out, and there's been an increase in deaths due to substance abuse and suicide in recent years. The ongoing opioid crisis is only exacerbating the challenges associated with getting patients the healthcare they need. A decades-old federal statute known as 42 CFR Part 2 aimed to protect patient privacy by keeping substance use disorder separate from clinical records. It was well-meaning, but the rule prevents physicians from getting a complete view of their patients. Add to this the fact that mental and behavioral health providers were left out of the federal EHR Incentive Program that spurred uptake of EHRs at hospitals and practices a decade ago. There are numerous other hurdles too, related to insurance, administrative barriers, workforce challenges and more. The new report aims to "identify barriers to integration caused by federal policy, to identify policy options to mitigate or remove those barriers, and, through policy changes, to advance evidence-based treatment for mental health in the United States." Among its suggestions: Congress should enable use of HITECH funding to incentivize uptake of EHRs for mental and behavioral health provides, and HHS should clarify rules around HIPAA and data sharing. "A major integration barrier in a coordinated care setting is the inability to easily share patient information between providers," researchers from the Bipartisan Policy Center write. "Providers are allowed to share information only with elaborate contractual agreements, which creates barriers for care coordination, an essential component of successful integration." Another major barrier is the "lack of information sharing, spurred by privacy concerns, which has limited the adoption of electronic health records by mental health and SUD providers." While the HITECH Act earmarked "billions of dollars in subsidies for medical providers to purchase and maintain electronic health records," it didn't make those incentives available to mental health and substance abuse disorder providers. As a result, "while the adoption of electronic health records has increased among other healthcare providers and entities, adoption by mental health and SUD providers has lagged." As long ago as 2011, leaders on Capitol Hill such as Sen. Sheldon Whitehouse, D-Rhode Island, were looking to remedy HITECH's oversight of behavioral health providers and extend eligibility for meaningful use money their way. 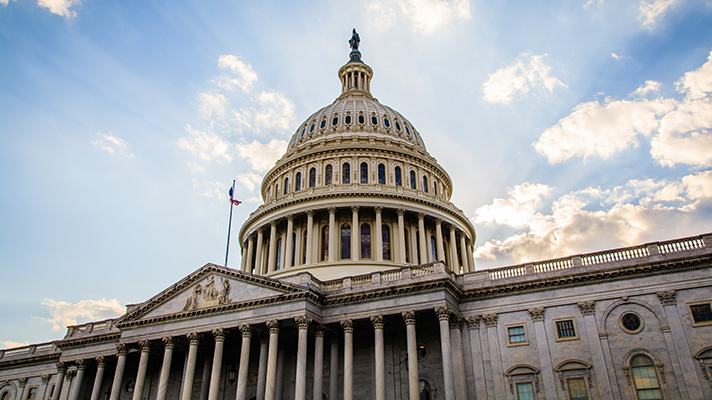 More recently, both the House and the Senate have supported bipartisan bills designed to incentivize adoption of EHRs by psychologists, psychiatric hospitals, community mental health centers and others. "Electronic records help doctors and other providers make better decisions about their patients’ care," said Whitehouse in a May 2018 statement touting the senate passage of a newer bill, his Improving Access to Behavioral Health Information Technology Act. "Americans who receive substance abuse and mental health treatment should benefit from that technology, too." "The history and structure of the mental health system has resulted in payment and policy silos and a host of agencies and providers that, while committed to quality care for people with mental illness, have significant interest in changes to the status quo," wrote researchers in the report. "Integration of services financed at the federal level will require collaboration among traditional mental health providers, public health departments, states, health plans, and federal government agencies that have not traditionally been required to work together and may not have aligned interests. "In addition to political and jurisdictional concerns associated with some of the options, many will require increased federal spending. BPC has typically sought to identify savings or additional revenues to avoid policies that add to the federal deficit. This will need to be considered as policymakers weigh options."